Intro- In the late 1960s, the Russians started work on a new supersonic anti ship missile to counter USN’s super carriers. This missile would have a sub launched variant which was simply too large for Echo class SSGNs. 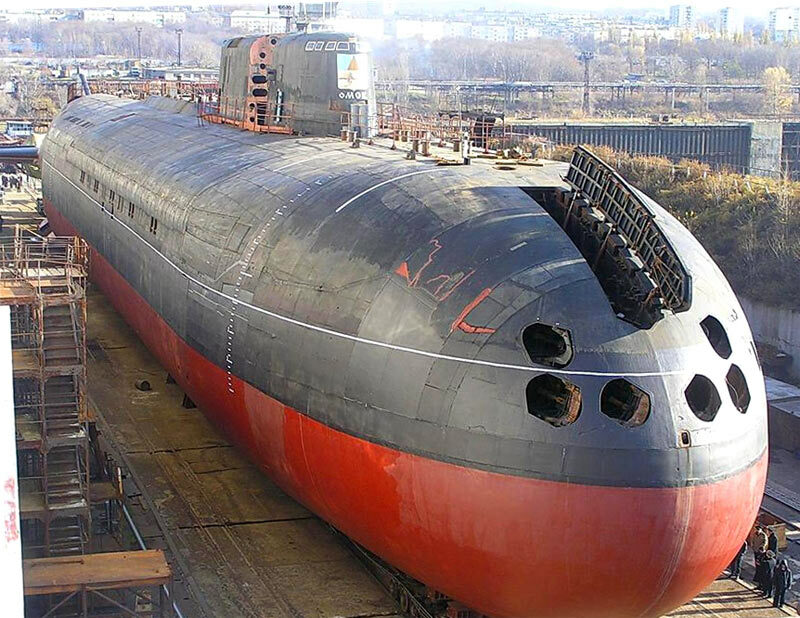 Thus the Rubin design bureau started work on a new SSGN which was named as Project 949 Antei whose NATO reporting name would be Oscar. The size of American carriers had grown manifold in the decades after the of world war 2 ie from 30,000 tonnes of Essex to 100,000 tonnes of Nimitz, first of which entered service in the mid 1970s. To counter this threat, the Russians started development of a new AShM capable of disabling a carrier with one hit and sinking it with more hits. 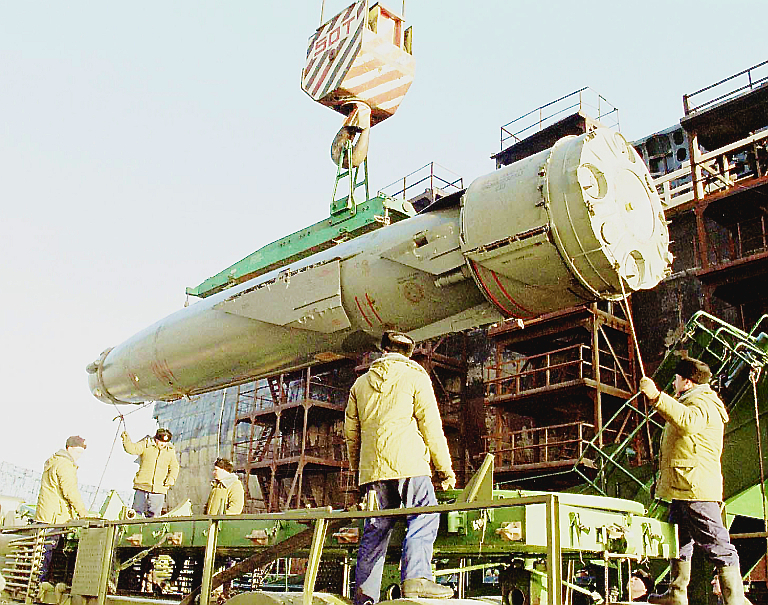 Following the analogy, larger the ship larger the missile needed to sink it, Russians developed a massive AShM called P-700 Granit. 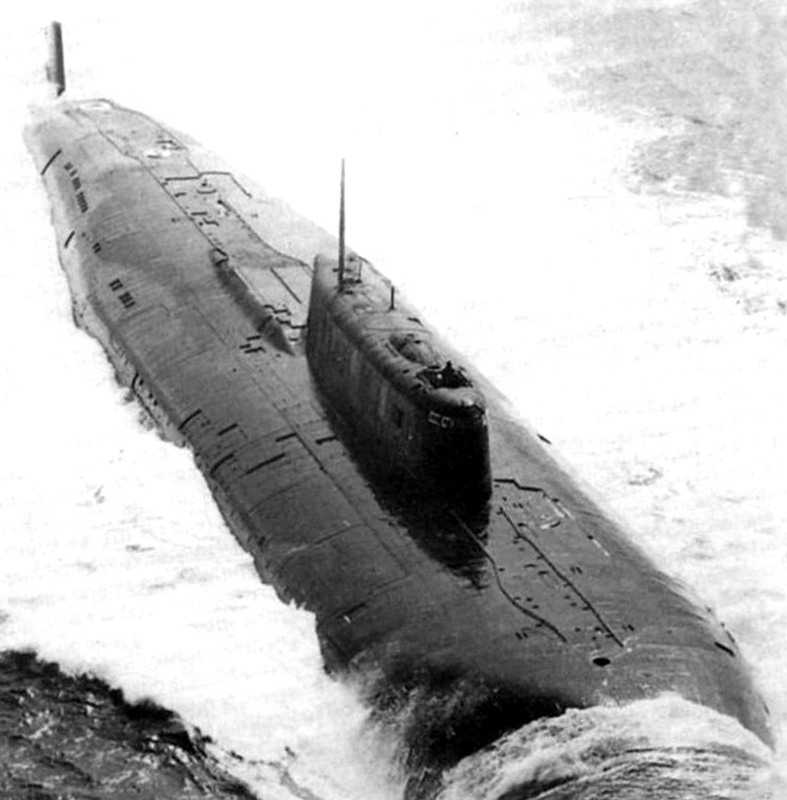 This missile was simply too big to fit it on a variant of Echo class SSGN hence a new sub was needed. Rubin design bureau started work on Project 949 Antei (NATO name Oscar 1) in early 1970s. This new sub would have 24 Granits , a number Russians thought was enough to sink an entire USN CBG. 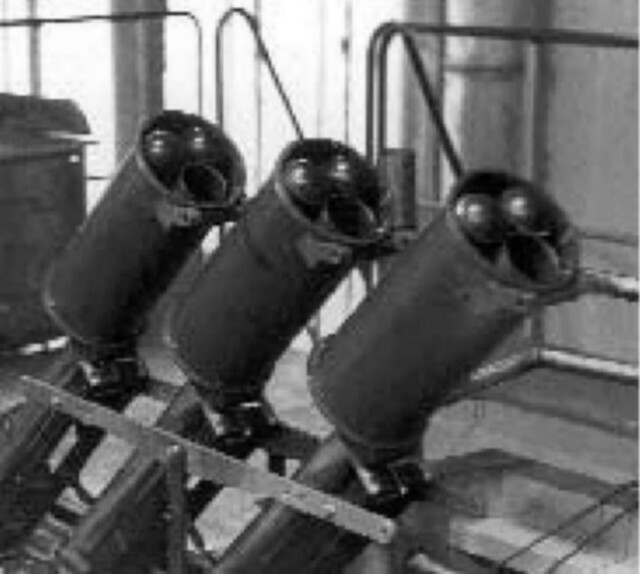 The missiles were placed in angled launch canisters between the pressure hull and outer hull, 12 per side. Oscars would thus have a beam of 18.2m which made them wider than American Ohios, even though Ohios were longer ie 170m vs 144m of Oscar 1, the wider beam meant Oscars would displace more than them. Thus the Oscars would end up being the 2nd largest sub after Typhoon with a displacement of 22,000 tonnes. Oscar would have 9 compartments, with 2 OK-650 nuclear reactors which were later used to power Sierras, Akulas and Typhoons. These reactors coupled with steam turbines gave it a submerged top speed of over 32 knots which was essential for keeping up with a CBG, max diving depth was 500m which was slightly less compared to other 3rd gen subs . They also have 6 torpedo tubes, 4x533mm and 2x650mm and 38 weapons for them. It sported the Shark Gill sonar, variants of which were later used on Sierra, Akula and Typhoon. They might also sport a towed sonar array but info on it is sketchy. Due to high degree of automation seen on all Russian subs, they had a crew of 90-110 men compared to over 155 of the Ohio. 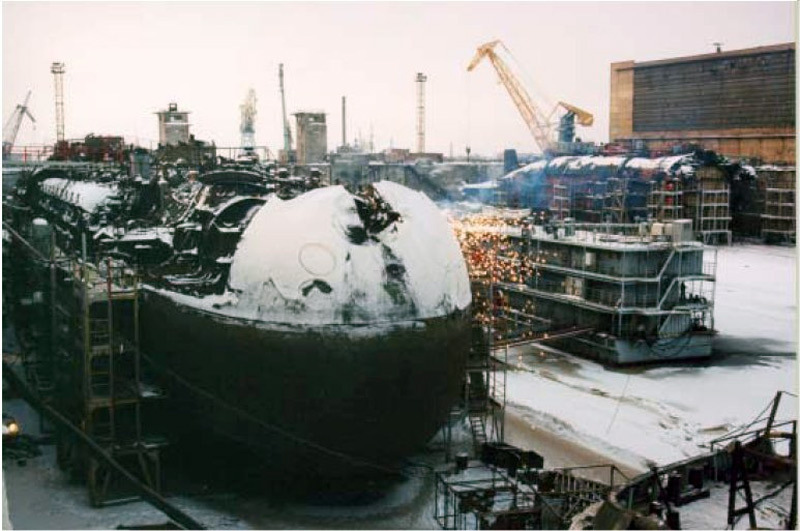 The keel of the lead boat, K-525 Minskiy Komsomolets was laid on 25 June 1978 at the Severodvinsk shipyard and was commissioned on 30 December 1980. After this, K-206 was constructed which was the last Oscar1. After K-206, production shifted to Project 949A, NATO name Oscar 2. Oscar 2s were 11m longer and 1300 tonnes heavier. This increase in length added the 10th compartment and quieter propulsion system while retaining the Oscar 1’s submerged performance. First boat of this design was K-148 which was laid on 22 July 1982 and commissioned on 30 September 1986. Original plans indicated atleast 20 Oscars off which 2 Oscar 1s and 10 Oscar 2s were completed whereas 3 Oscar 2s were laid but were left incomplete at the end of cold war and 5 others were never laid. One of these 3 incomplete Oscar 2s ie K-139 is being completed under Project 949AM for special ops, where as remaining two are rotting as there are no plans to complete them as of now. Of the 10 Oscars completed only 5 or 6 remain active while the remaining ones have either been scrapped or are awaiting their fate. 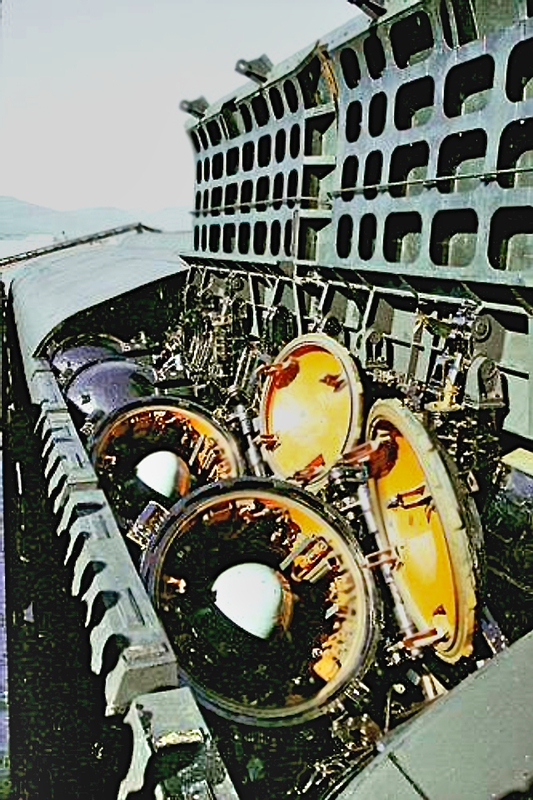 K-525 and K-206 have been scrapped, along with K-141 which was lost during an exercise. K-148 and K-173 might be scrapped as well. 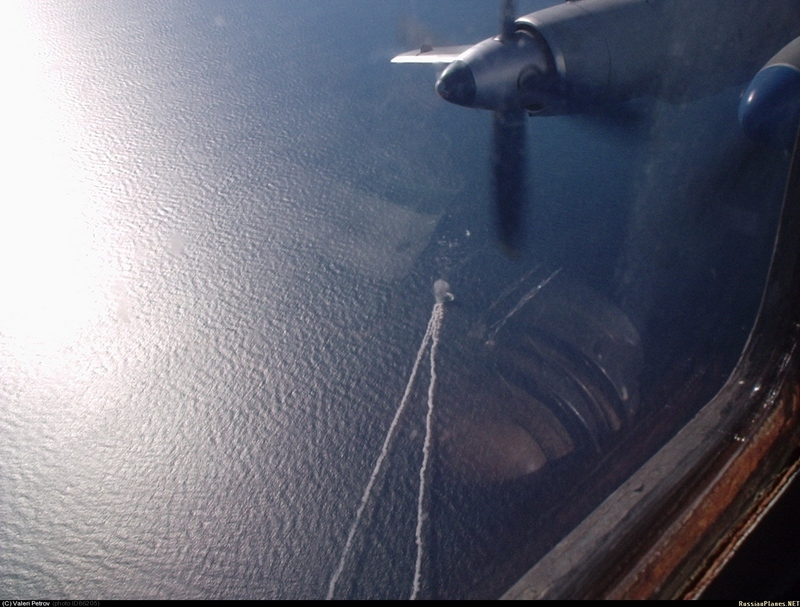 Of the ones active, K-119 was recently involved in one of a kind rescue operation where it saved a 11m long boat and its crew of 4 and one passenger trapped in a storm without enough fuel for getting out of it. K-119 is one of the few Oscar 2s which have undergone complete overhaul and are active as of now, 2-4 Oscar 2s are supposed to go through the same overhaul. The Russians seem to have planning another upgrade which would replace 1 Granit with 3 Kaliber/klub/Onyx missiles. This upgrade would retain the Granit launcher but would add 3 smaller cells in it to hold 1 missile each. This would triple an Oscar’s aramament in terms of missile from 24 to 72 but these smaller yet newer missiles are no match for the Granit. They might also convert some cells for these newer missiles whereas few others will retain the Granit, this will allow for minimal loss of capability, yet provide advantages of newer missiles. 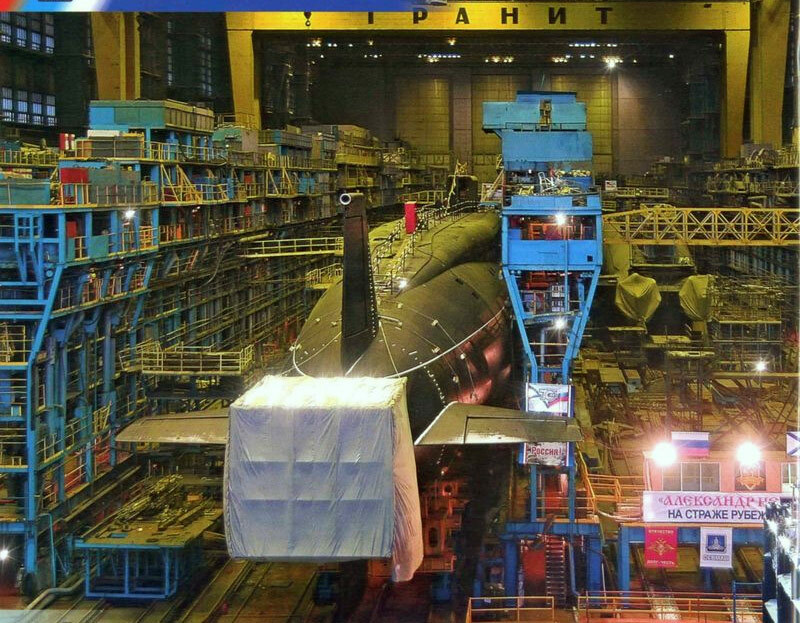 Seen on the right side of the pic is a sub with two screws, it is the K-139 being completed for special ops. The P-700 is a monster of a missile compared to western AShMs, it carries a 750kg HE warhead or a 500kt nuclear warhead and has a launch weight of 7 tonnes. This missile is speculated to have a range of 600km and a top speed of Mach 3 during the terminal phase. It would fly at the speed of Mach 1.5 during most of its flight to its target and accelerate in the terminal phase to go through enemy’s air defenses. 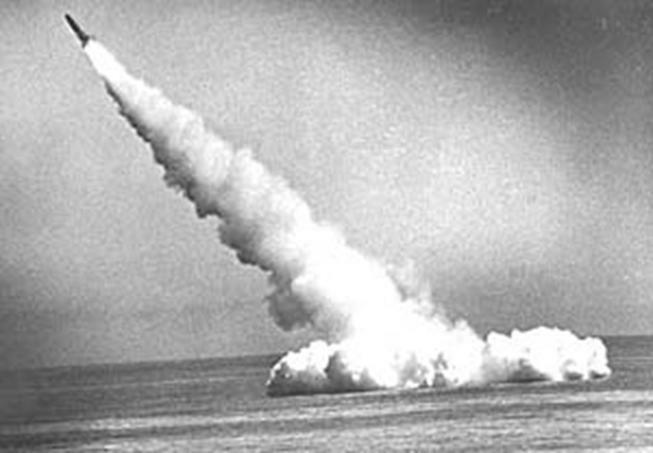 This missile is one of the first smart weapons, as they always attacked a vessel or a flotilla in a planned manner. If launched in a salvo of 3-4 missiles, one missile would fly higher compared to others, light up its radar, search for targets and relay those found to other missiles which would fly lower and thus remain below enemy’s radar coverage. Thus the enemy would spot just one missile and might be able to shoot it down totally unaware of the rest. These missiles could be launched at a moment’s notice and needed a rough location of its target (usually obtained through satellites) with no mid-course guidance upgrades required. 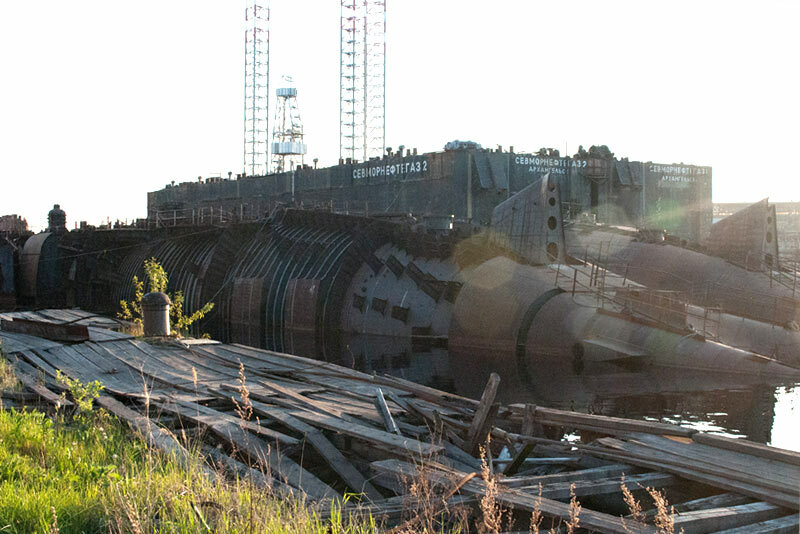 A Granit being offloaded from the doomed K-141 Kursk. An Oscar would generally trail a CBG several hundred miles behind to avoid the CBG’s SSNs which would generally be 100s of miles ahead of the CBG. 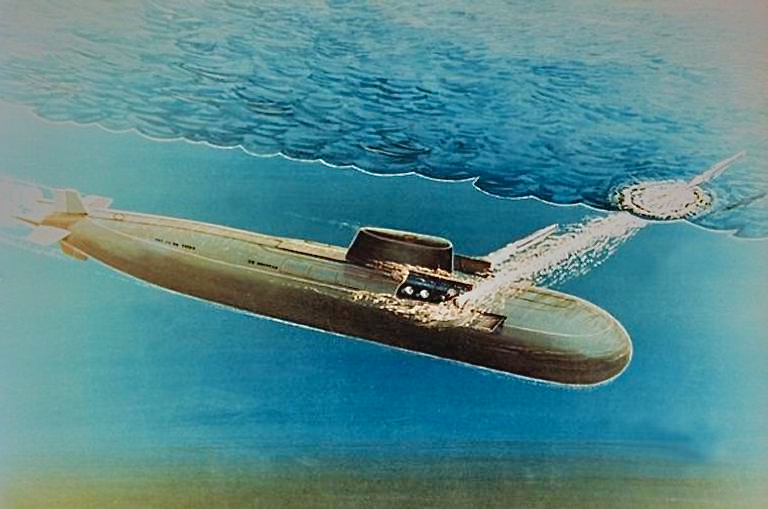 These subs offered a considerable threat to American CBGs as they were deployed for longer time compared to other Soviet subs. Many times they came pretty close to a CBG which was more than enough to show their presence. Russians planned to build atleast 20 of these which meant they could deploy atleast one per CBG loitering near Russian waters, or their interests. To counter them, USN increased the range of their ASW patrols to its present 1000km which is more than Granit’s range. This range can be easily boosted a further 500km using buddy tankers. With the threat of American carriers gone, they have no direct enemy to counter, but they are still a big deterrent for Russia’s enemies as these missiles can easily send any warship to the bottom of the ocean. Russia has increased its defense spending considerably after the end of cold war and there is a big possibility that all the Oscars in reserve might get the required refits and will return to service, they might also complete the 2 Oscars which are still incomplete. All in all we will see them sailing for atleast another decade or two. In submarines, they surprisingly had much better automation, looks like they didnt want to put major burden on conscripts. Well these were designed for an era when they were not so capable 😛 why do u think USN developed Aegis?